Ford’s Self-Driving Vehicle Approach – Self-Driving Cars – Medium | Car News, Reviews, & Pricing for New & Used Cars. 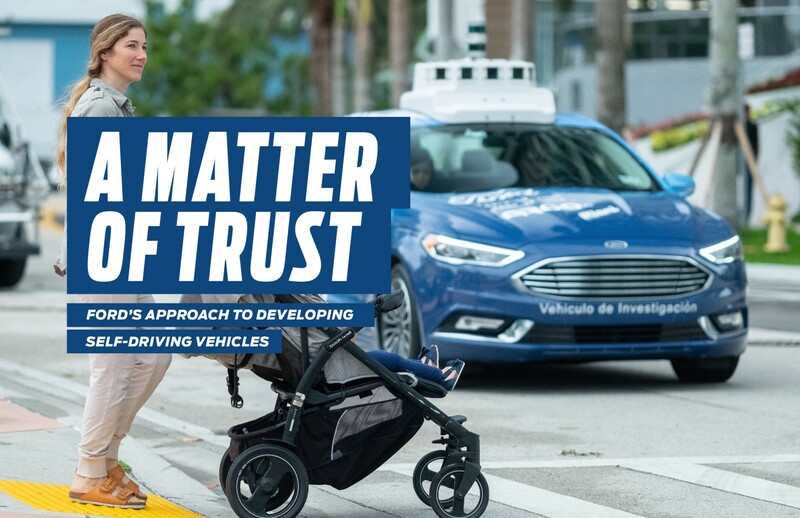 A few weeks ago, Ford Motor Company published “A Matter of Trust”, a report outlining their autonomous vehicle development process. The document seems pretty clearly intended for government regulators, and indeed they sent the report to Transportation Secretary Elain Chao. Compared to the Waymo Safety Report released last year, the Ford document is a little more dense, but broadly similar. Both documents discuss how autonomous vehicles work, what sensors are involved, and what processes are in place to ensure safety. Ford’s document includes more detail about training and procedures for safety operators, as you might expect in the wake of the Uber ATG collision in Arizona. Ford also share a bit more information about security. The report mentions efforts related to authentication, network segmentation, and physical partitioning. All in all, it’s a good read to see how a larger autonomous vehicle organization operates.